Home » Club News » There’s Something About Being a Lion! There’s Something About Being a Lion! In celebration of our 73rd Anniversary Lion Steve Pellerin organized a special program of storytelling at our April 3rd regular meeting. During the past year our Fonthill Lions Club has enjoyed a reemergence that with a 50%+ increase in our membership. The evening of reminiscing was a wonderful opportunity for our newer members to learn more about the legacy of our Fonthill Lions Club as our longer-term members highlighted some of their memories and special moments of being part of the Lion Pride. How did I become a member so easily? How do we turn on the baseball lights? Be at the club before Robert, or you are late for the meeting! You want to charge US to use the Pit!? He sobered up and wanted his pig back! Our Club is in a rebuilding phase. We welcome new members to join us and help us keep doing what we do best – serving others. 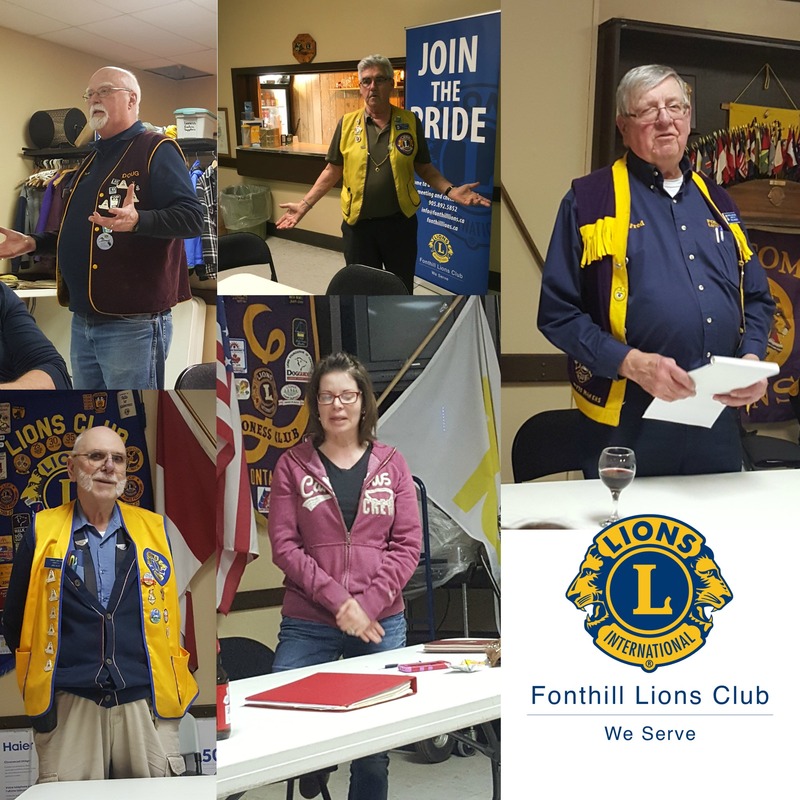 As a Fonthill Lion (#Fonthillion), you’ll join a local group of service-minded men and women who work together to strengthen our community. Posted in Club News | Comments Off on There’s Something About Being a Lion!